This delicious creation combines two of Italy’s most famous culinary treasures: prosciutto and salami. 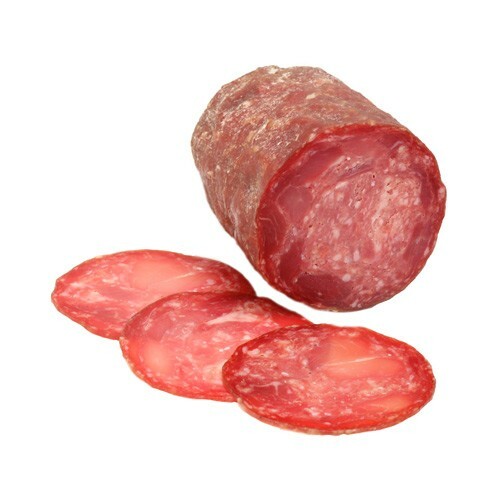 Air-dried and seasoned with salt, pepper, and other Italian seasonings, this delicious piece of salumi is made using coarse ground pork and pieces of prosciutto. Perfect in sandwiches or on your antipasto platters!